"We are located in Sandusky/Huron, Ohio "
"North Coast Proptech is an authorized PROP SCAN Dealer"
"We carry Packless Sealing Systems "
All Styles, Sizes, and Materials (Stainless Steel, Aluminum, Bronze, NiBral) of Marine Propellers Serviced Including Inboards, I/O's, IPSs, Outboards for Sailboats, Ski Boats, Yachts, Research Vessels, Ferries, And The US Coast Guard. 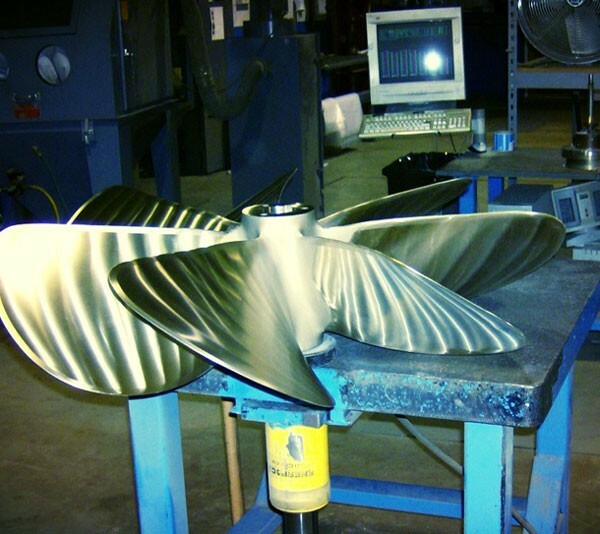 When choosing a propeller repair facility there are a number of things you should consider. Probably first and foremost is reputation. Ask around. Whose name do you hear the most? Find out why. They should have state of the art electronic measuring instruments capable of measuring within .001 of an inch the hydrodynamic features of a propeller such as Prop Scan. Do they have state of the art bending equipment like the Prop Press 360 that can gently twist and shape the propeller to exacting tolerances? Do they control repairs to ISO 484/2 and Enhanced Propeller Standards? How many radii do they measure? Most shops only do 3 radii. North Coast Prop Tech controls and measures a minimum of 6 radii. The more radii measured, the more accurately your prop can be tuned.We are the only repair shop in the area with a Certified Inboard Propeller Technician. 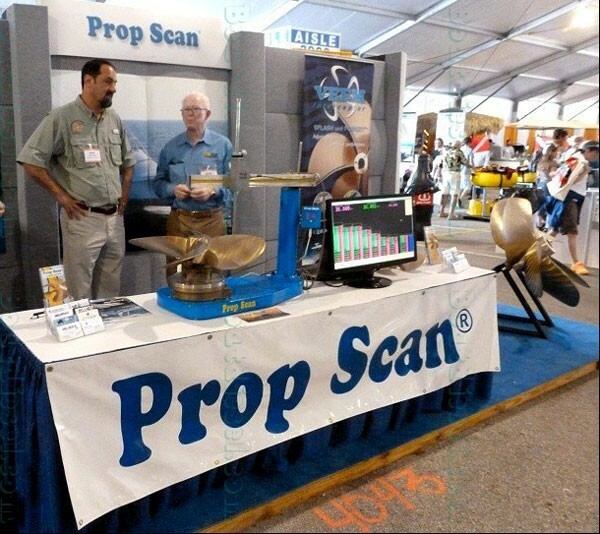 We are backed up by Propeller Dynamics, manufacturers of Prop Scan, and a network of peers within the Prop Scan family of repair facilities who freely share their knowledge and expertise. We are also members of the National Marine Propeller Association and Lake Erie Marine Trades Association. Lastly, do they stand behind their work? Prop Scan technicians issue computer generated before and after reports to all of our customers. In addition, the Prop Scan computer system keeps a record of all repairs. This allows the technicians to reproduce a propeller tuning of the same specification the first time and every time. 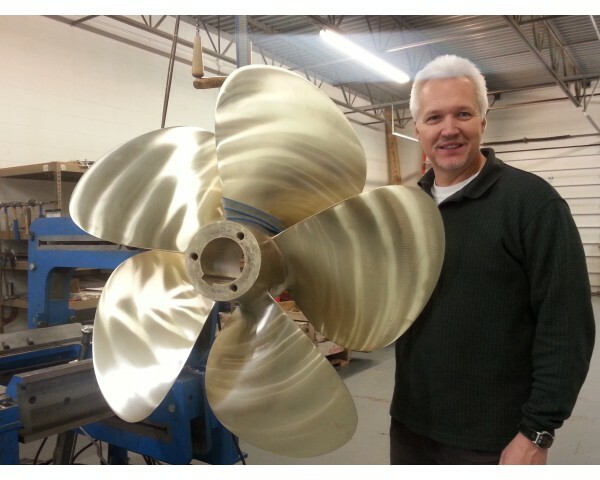 We are Propellers Dealer for Veem, Ballistic, Mercury Marine, Michigan Wheel and more. We are a PropScan Certified Shop. We ship all over the USA. Monday through Friday: 8:00 – 4:00pm Call ahead to be sure someone can assist you right away. Come see us at our both #8 - North Coast Prop Tech - Get to know us and even better, your props! Come see us at our both - North Coast Prop Tech - Get to know us and even better, your props! Cedar Point is easily accessible from Cleveland, Toledo, Columbus, Detroit, and all points in-between via the Ohio Turnpike or Ohio Route 2. The North American In-Water Boat Show is held in Cedar Point’s South Basin. When arriving via the Cedar Point Causeway, follow the boat show signs to the parking lot. Slips up to 120 feet long are available for overnight dockage during the show for those arriving by boat. Please contact the Cedar Point Marina for docking information and overnight transient reservations at 419.627.2334. It is strongly suggested to call the Marina Office prior to your arrival to reserve your overnight space. The Cedar Point Marina monitors VHF Channel 09. Get Social with North Coast Prop Tech Inc.
North Coast Prop Tech Inc.